Paintless dent repair (PDR) is a great way to remove minor dents and dings from the body of your car. Also commonly known as paintless dent removal, this method can be used for a wide range of damages, but only if the paint surface is intact. Often used to repair hail damage, bodylines damage, minor creases and door dings, PDR works on both aluminum and steel panels. 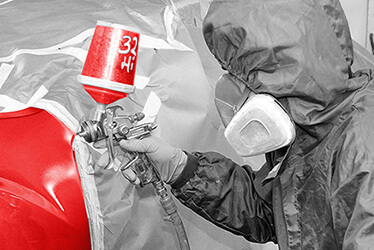 Even if your car needs painting, the method can still be use to prep the damaged panel, therefore reducing the need for body filler and also reducing your costs. 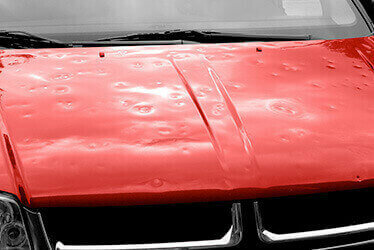 Paintless dent repair is not only quicker, but also a more affordable way of repairing this type of damage. Contact CARSTAR #15056 in Omaha, NE to find out more about our PDR process and technique. CARSTAR CARSTAR #15056 in Omaha, NE offers paintless dent repair as a time and cost effective solution to minor creases, dents and dings. Our process is simple and straightforward, yet highly comprehensive as we make sure your vehicle is returned to you in top shape. Our qualified and experienced technicians will assess the damage on your vehicle's body and determine if PDR is the right solution or not. If it is, they will also be able to determine the best technique to properly repair the dent. Usually, this is a two-to-three day repair. Contact us to learn more about the process, how we work with your insurance, or bring your car in for an assessment! Paintless Dent Repair is a great solution for minor fixes. It is quick and affordable and can leave your car in an excellent condition. Nonetheless, you may need a little more from your auto body shop further down the line, so check out the additional services we provide at CARSTAR #15056 in Omaha, NE. If your car has suffered through a storm, we offer hail damage repair that promises to get your car in pre-storm condition as soon as possible. We also offer auto collision repair and 24/7 accident assistance, so give us a call and we'll walk you through the entire process, from assistance with tow service to damage assessment and repairs plan. The center provides fleet services as well, no matter the size or type of the fleet.